Fanny (Cata) Gomez-Lugo is a feminist, activist, human rights lawyer and academic. She has been an Adjunct Professor at Georgetown University Law Center (GULC) in Washington DC since 2012, where she teaches courses on human rights, sexual orientation and gender identity/expression and sexual and reproductive rights. She is the Senior Director of Policy and Advocacy with Synergía – Initiatives for Human Rights, a cross-regional NGO. 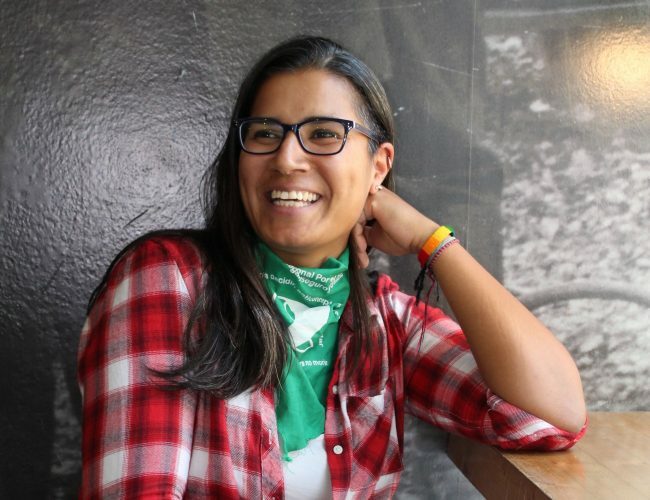 She was the human rights specialist at the Inter-American Commission on Human Rights (IACHR), in charge of coordinating the execution of the legal work, projects, and the activities of the Rapporteurship on the Rights of Lesbian, Gay, Bisexual, Trans and Intersex Persons (2012-2016). She is originally from Venezuela, where she obtained her law degree (Juris Doctor equivalent) (UCAB, 2003). She earned a Master of Laws (LL.M.) degree with a focus in international law (McGill University, Canada, 2006). On a scholarship from the University of Chile, she pursued graduate studies on the human rights of women (2007). She completed the Women's Law and Public Policy Fellowship Program (WLPPFP) at GULC (Washington DC, 2009). She is the author to several publications in the areas of sexuality, gender, and international human rights law.